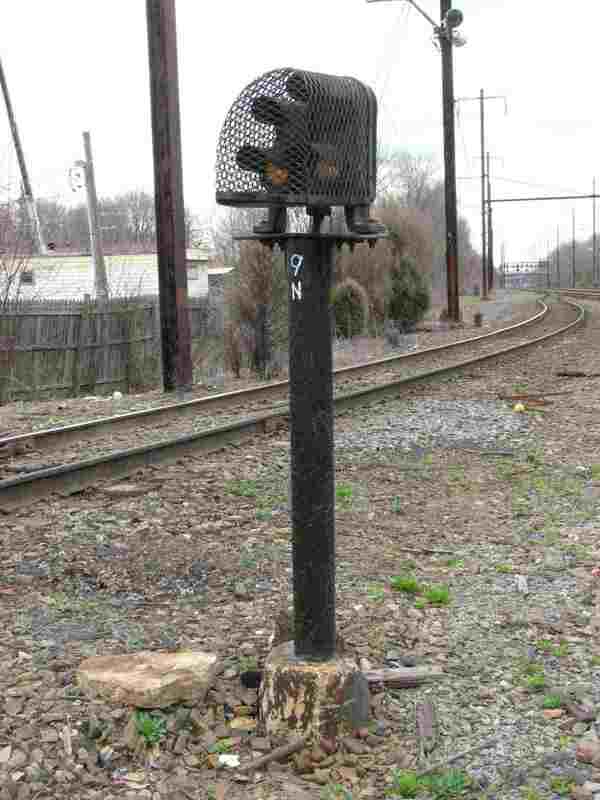 The signals Amtrak uses on the North East Corridor between New York City and Washington DC are a modification of the Pennsy Position Light signals. 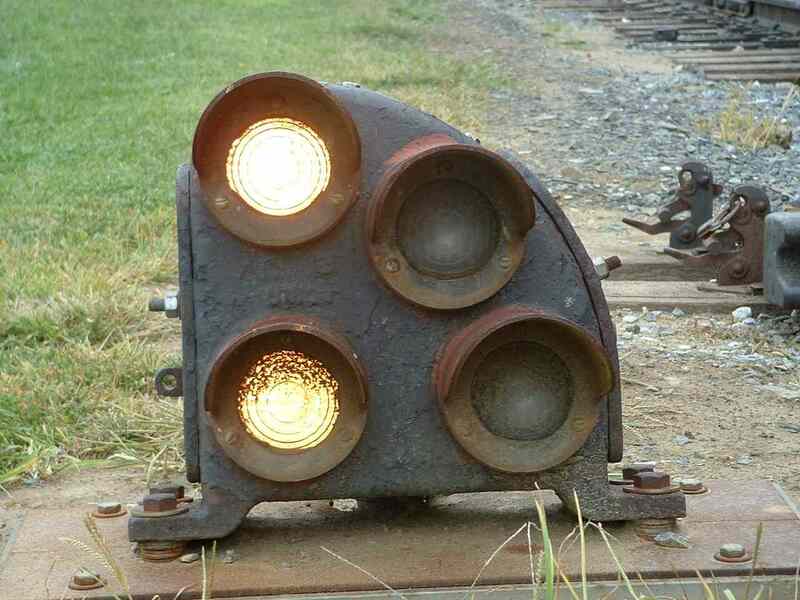 Amtrak removed the center lamp, and replaced the remaining lenses with color lenses, making it look similar to a B&O CPL (color position light) signal from a distance. I'm not quite sure if the term PCL is Amtrak's official name for the signals or not, but most signal fans use this term to differentiate the signals from CPL's. 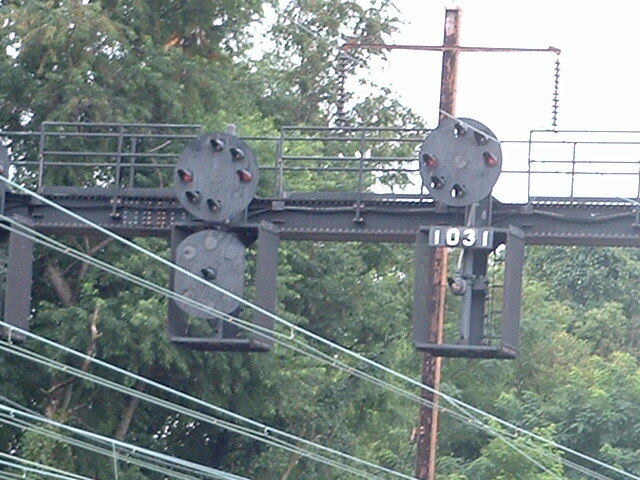 Drawings for the signal heads are at the bottom of the Pennsy PL PL page, as are pictures of a typical Pennsy signal bridge.... and, while checking things out, you may also want to check out my signal timeline. 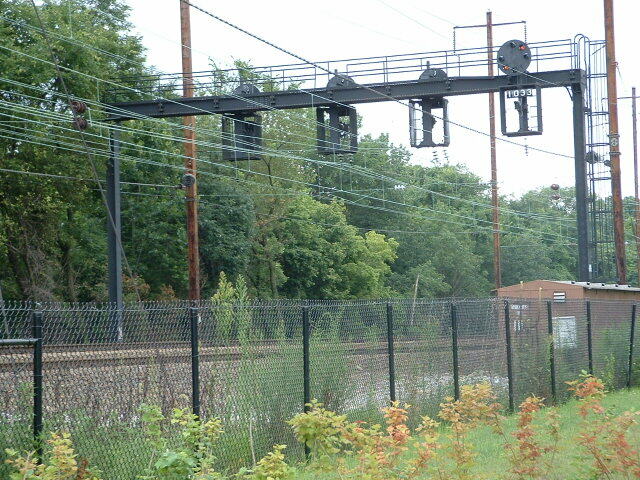 These signals are located just south of the MARC commuter stop along Southwestern Blvd. 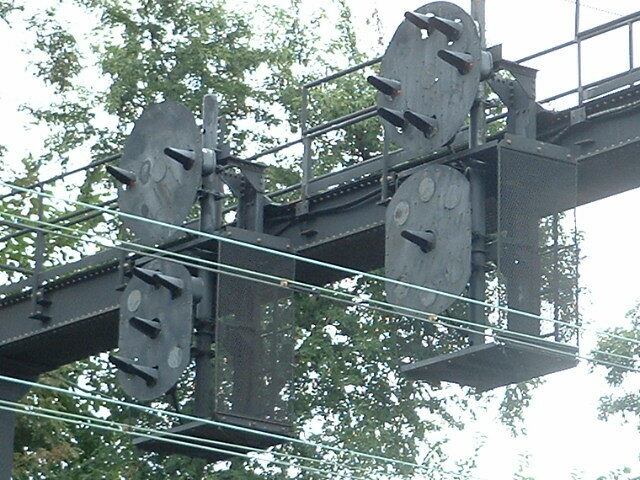 This signal bridge is located just north of the station. Northbound signals are numbered 652 (top two rows), southbound 651. Just north of the station for NB trains. Just south of the station for SB trains. Just north of the station for SB trains coming into the station. 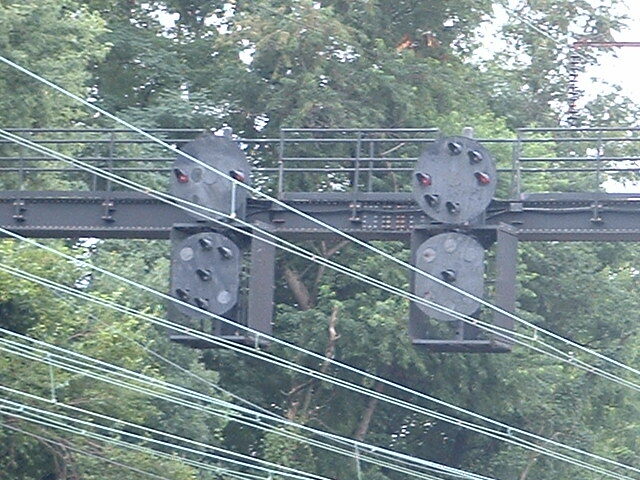 Note the use of LED's in this signal set!!! Pictures from a trip Michael Watnosky and I took in April 2008 to Wilmington DE are here. 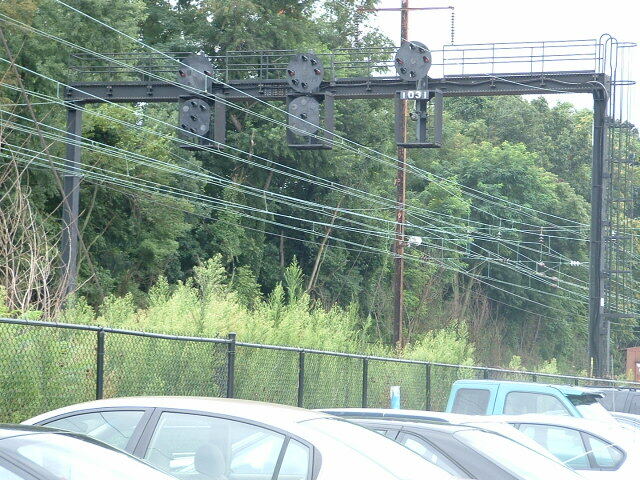 And pictures of the PL signals in Perryville MD are here. 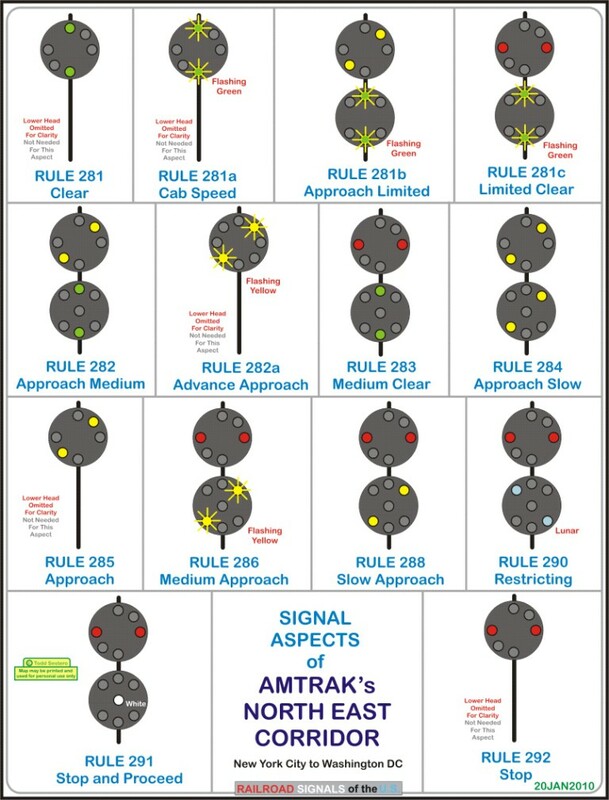 Altho they really don't belong on this page, Amtrak still uses the Pennsy dwarf signals and pedestals without modification. Pictures of them can be found elsewhere, but a few examples are included here for reference. A ground mounted dwarf Position Light signal. 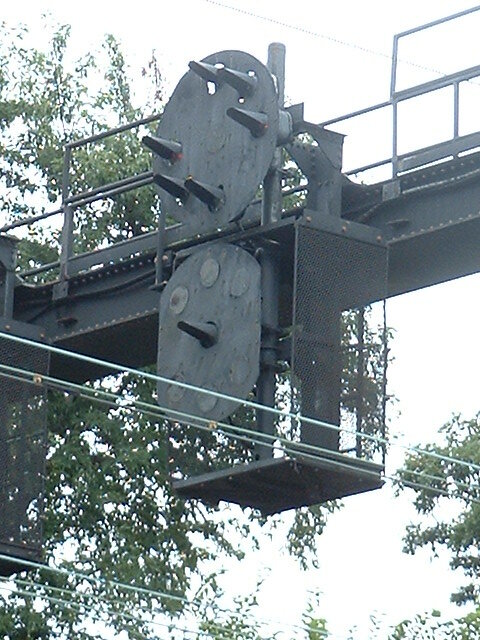 A high mounted dwarf signal. 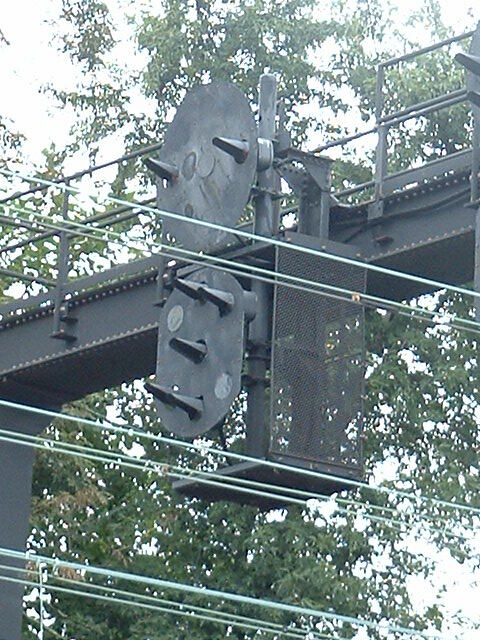 A typical pedestal signal mounted on a 4ft or so mast. 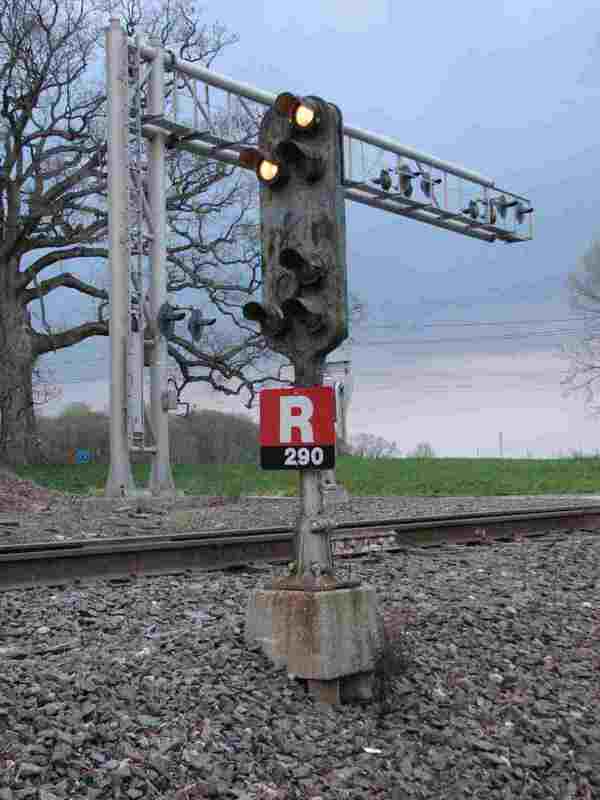 These can be found all over at places like Baltimore, Philadelphia, etc, and of course, the Norfolk Southern still has oodles of them around, as evidenced by this photo in Newark DE, and places like the interchange in Perryville MD.